Players on a soccer team for the first time, may be good players but don't seem to be playing well together. Many will say they just need some time to understand how each other plays. This is it. Aerobic Soccer Training or A.S.T. accelerates this process. It pushes soccer players to realize immediately when they are out of sync with each other and pulls them back into the "zone." Even though Aerobic Soccer Training or A.S.T. is extremely demanding, it is easy to lose yourself in the rhythm of the music instead of focusing on the pain of the moment. Constant movement is mandatory for A.S.T. Rest periods are movements done at a lesser pace, while work periods could be considered all the time, since you are constantly touching the soccer ball. Mental concentration is a requisite when performing all exercises because, if not lucid, the participant will spend more time chasing the ball then enjoying the program. A.S.T. gives you the building blocks to execute any move that you wish. The movements can be adapted or blended together to give you a desired outcome that appears spontaneously in any situation. From A.S.T., combinations of moves can be linked together to give your game the continuous flow that every player is looking for. Every movement in A.S.T. is done quickly, smoothly and in preparation for the next situation. You will form deftness to your touch that will have you consistently adapting to your newly acquired skills. Above all though, the greatest emphasis is on enjoying your personal movements and being comfortable with your inherent style. The building blocks are given and its up to you on how you want to put it together. You can do this soccer training program indoors. The ball should not leave the ground or be kicked harder than a simple 2 yard touch. To do A.S.T. indoors you must have a 5 yard by 5 yard space available. Also remove any furniture that could be damaged in the event of a mistouch. Although we take no responsibility for any items broken indoors while players are using Aerobic Soccer Training. Rhythm is the foundation of A.S.T. It is the soul of everything, including soccer. It is usually referred to as work rate, tempo or pace. They are all soccer terms that mean rhythm. A.S.T. brings this fundamental of soccer to the forefront of training. Most players have the vision of effortlessly gliding past wrong-footed defenders. A.S.T. can give them the ingredients to make these visions reality. Most dribbling skills are taught as mechanical and separate movements, This technique shows how they can be linked to become an artistic dance across the pitch. A.S.T. 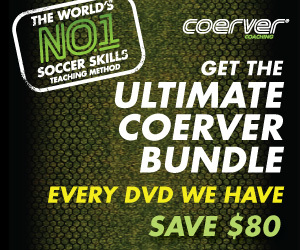 goes about building soccer skills by repetition of rudimentary movements that are key in soccer. It works to create uniformity between both legs by equal repetitions. Also through rhythmically learning, it is easier for players to adopt movements as second nature. Each specific movement serves to enhance a player's relationship with the ball. A.S.T. helps him or her understand body positioning, amount of weight needed to be exerted on the ball and personal strengths and weaknesses. The video is based on plyometrics training so it creates quick feet and eradicates the notion of being flat-footed. Also doing the exercises to music takes the mind off the workload and keeps the exercises fun. This music C.D. has been created specifically for the A.S.T. Soccer Training Program. It gives players 135 touches on the ball per minute. It's fun up-tempo beats go perfectly with the Aerobic Soccer Training program. To play successful team soccer, players must work together. If a player moves to the ball at one pace and the passer gives the ball at another, the possibility for that play to be successful is lowered. A.S.T. 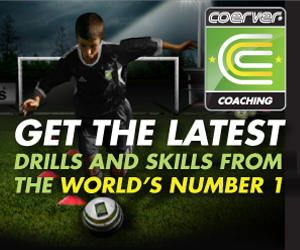 encourages players to aggressively link their play together.